It’s been raining a lot in Japan. We just had two typhoons, #27 and #28 of the season, join forces and drench much of the country. Fortunately, the dreary conditions have finally passed, and it’s sunny today (hurray!). While the weather has sucked, I’ve been holed up indoors, and among other things, I’ve been catching up on a bit of photo-editing. 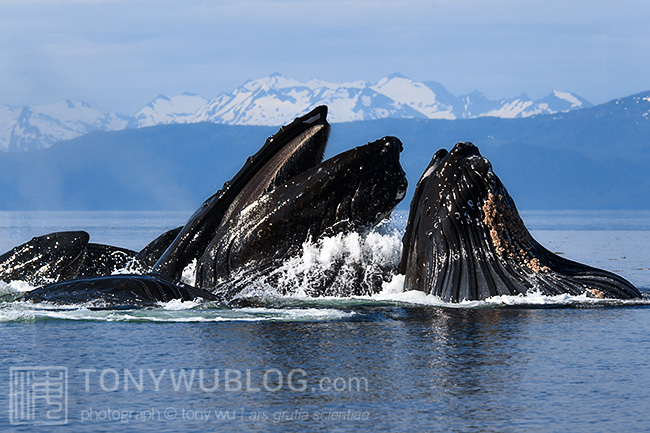 Just thought I’d share these two images of humpback whales engaged in cooperative bubble-net feeding in Alaska as sort of a thought for the weekend. Both of these photos are from the same place, of the same subjects. 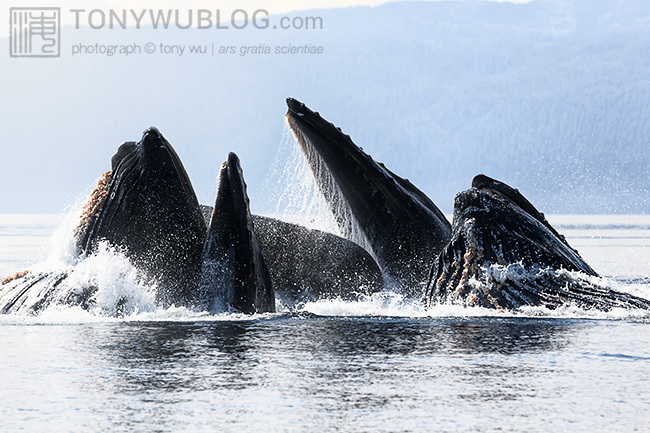 In fact, they are exactly the same group of whales, photographed on the same day. What makes these two images so different is…the light. It’s been a while since I’ve harped on lighting, but I’d be hard-pressed to find two photos that illustrate the importance of light better than this pair of pictures. You can’t always control the direction or quality of light, especially with unpredictable big animals like this, but you can and should always be thinking about where the light is coming from and what type of light you have…before you ever depress your camera trigger.